This article is the first in the series of articles about Website Localization. This is an important yet ignored topic which most website admins don’t learn about. I explained Website Localization in a lot more detail in an article of its own. Read more about Website Localization. The term translate originates from the Latin word ‘translat‘ which means to be carried across. It refers to the process of carrying across the meaning of literature over the language barrier. Why use Translation Services and not a free service like Google Translate? A literal translation is insufficient in successfully carrying over the meaning and significance of the content of a website, not only the translations can be erroneous, but jokes or idioms are language specific puns lose their meaning in a translation. Cultural meaning and context of the text are important for the foreign audience as a misinterpreted joke can send a wrong message to the people about our whole culture. For example, a long time ago (maybe 1960s), Pepsi’s slogan “Come alive with the Pepsi Generation” was translated to Chinese and meant “Pepsi brings your ancestors back from the grave”. From a translation viewpoint, it’s not exactly wrong, but from a general point of view, it sounds insensitive and rude if not scammy. Automatically translated web pages may provide the user with the basic factual information they were trying to find, but a localized website will leave a long-lasting impact and will serve the purpose of attracting more users better. Majority of TechGlobule readers are from the United States, and second most number of readers come from India, who have English as their second or third language. If you are reading the site and feel the need that this site needs to be localized in your language. Feel free, to comment below. Some more practical uses of translation services are that they make sure to convert the numbers too, that is numbering, currency, date formats, and other cultural or geographical appropriations. Here’s a list of carefully selected Translation services from across the internet, to help you choose the one you wanna go with. It is a leading and go-to translation company, that has been around servicing other websites looking to reach a wider audience in the world with website localization. Check them out at BestTranslationServices. They have been around for 30 years helping clients get their multilingual websites on the web. It is a trusted company in the business with a proven track record full of accomplishments. Check them out at OnePlanet. They help their clients break the language barrier with their website localization services, providing global solutions and translation services. Check them out at InWhatLanguage. This service provides translations in multiple languages. They are dependable professionals for global solutions. Check them out at Alconost. They help the clients go international with their localization services, having native speaker translators to help you in the job. Check them out at DynamicLanguage. 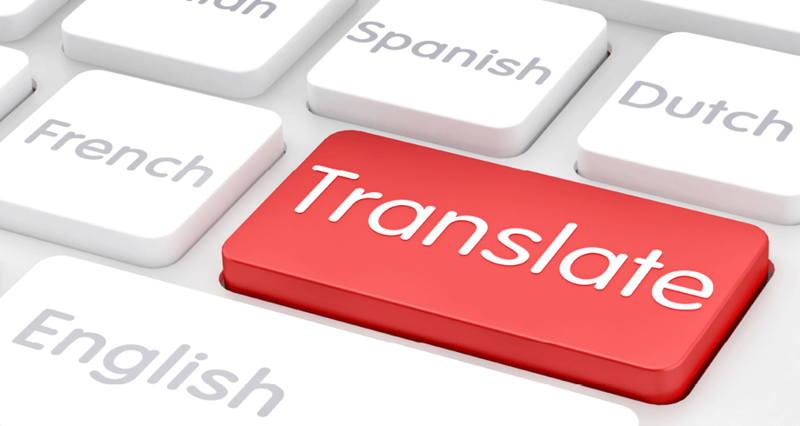 If you feel that, you don’t need translations in an all the languages in the world, and only a couple of foreign languages, you can try freelancing the job to TechGlobule.com, and get the quality results for a cheaper price, relative to other experienced translation services. Check us out at TechGlobule.com/contact-us. Other unused Titles include – Top 50 Website Localization Tools, Best 50 Website Localization Tools, Top 5 Translation Services, Top 5+ Translation Services, Best 5+ Translation Services, Best 5 Translation Services, Top 5 Website Localization Tools, Best 5 Website Localization Tools. Disclaimer – TechGlobule is not affiliated with any of the services list above except “TechGlobule” itself. It’s our job to make people know about the services available in the market, it’s not our responsibility if the service providers are not providing the said service up to the consumer’s expectation. Please take care of yourself and wear your seatbelts. Image source – translate.sa.gov.au (Translation image), singularityhub.com (Featured image), prleap.com/pr/245342/cody-broderick-of-inwhatlanguage-named-emerging (In What Language Image). If I forgot to credit anyone for their image, please comment below.